Action: A typical Beijing mule cart in a courtyard with two female passengers. The front one is stitting cross-legged on a cushion. 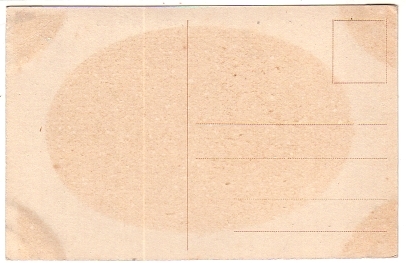 The driver stands holding the reins towards the rear of the mule. 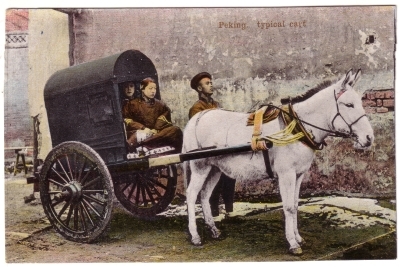 Image Particulars: The “Beijing cart” was a standard mode of transportation in Bejing and north China cities in general before rickshaw times (about 1895 for Beijing). In the country, it lasted well into the 20th century.